The Iiyama G-Master GB2560HSU is an attractive 144Hz option from the brand mostly known for mid to high end professional displays. This monitor is also one of the few bezel-free options in this category, making the idea of getting this underdog over its established competitors more attractive. 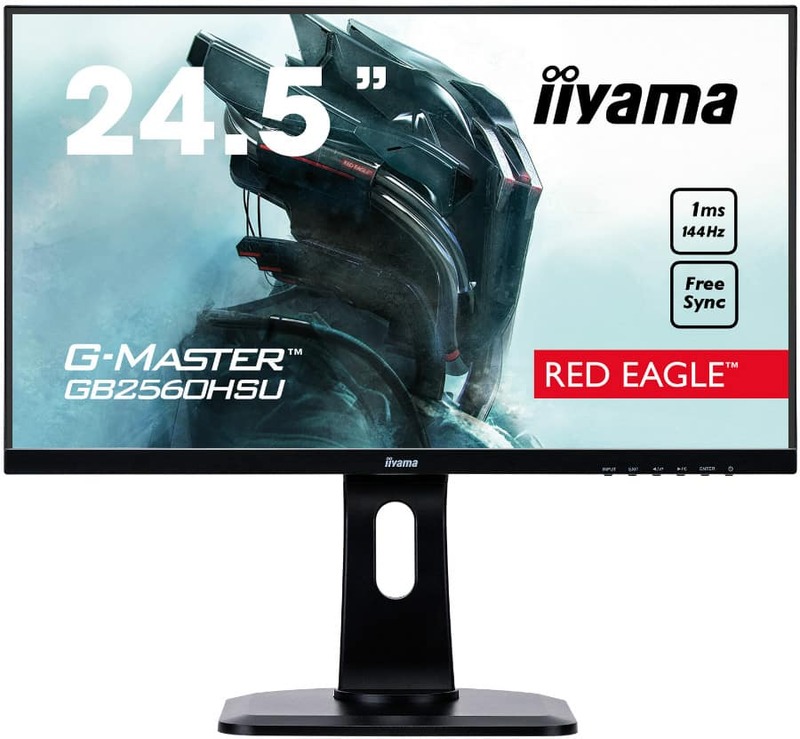 The Iiyama G-Master GB2560HSU is priced slightly higher than some of the 144Hz screens in the market, making it interesting to check how its performance can justify the extra cost. The Iiyama G-Master GB2560HSU sports a clean and modern look which is rare in today’s gaming monitors. The chassis is finished in matte black while the face has a three-sided borderless design which maximizes the view. There is, however, a bottom strip that hosts the brand logo and indicators on the right-hand side. The proportions on the Iiyama G-Master GB2560HSU are reasonable enough to be considered compact by today’s standards. The display housing itself is only a few inches deep, but you need to deal with the nine inches of depth the base requires if you are using the stand. One notable aspect of the design is the swivel point on the base which was pushed back towards the rear of the plate. This means that yo u can push the whole device closer to the wall to save space for your keyboards and other doodads on your desktop. You can tilt, swivel, pivot, and adjust the height to get a perfect view on the Iiyama G-Master GB2560HSU for convenience. You can also opt for an aftermarket mount if in case your setup calls for it. The Iiyama G-Master GB2560HSU is limited to an HDMI 1.4 slot and DisplayPort 1.2 for video inputs, so there are no legacy connectors for older devices. The device only includes dual USB 2.0 receptacles in its hub, which, unfortunately, is only suitable for connecting your mouse and keyboard. The product is then rounded up by a pair of 2-Watt speakers which are generally unsuited for gaming applications. The Iiyama G-Master GB2560HSU offers a 25-inch TN panel with a 1920 x 1080 resolution, 144Hz refresh rate, and 1ms response time. A contrast ratio of 1000:1 and a WLED backlight with 400cd/m2 maximum brightness are also included in the spec list. This model closely resembles the AOC G2590PX which also shares the borderless aesthetic. Analysis with a colorimeter tells us that the Iiyama G-Master GB2560HSU does a decent job at image quality with a few mixed results. The screen is only able to produce 97% of the sRGB gamut, which is typical for TN panels. However, color accuracy out of the box is rated at only Delta E 1.0 which you can expect from the brand’s offerings. The backlight on the Iiyama G-Master GB2560HSU can reach a blinding maximum of 470cd/m2 which exceeds the specified rating. 470cd/m2 is too bright for everyday use, but a higher limit typically equates to a finer adjustment experience. Contrast doesn’t blow us off the water at 780:1, whereas some TN models we have tested can even exceed 1000:1. The Iiyama G-Master GB2560HSU doesn’t do so well on the panel uniformity since there are large deviations on the top of the screen and it’s sides the flaws are noticeable when viewing an all-black image, however, gaming and movies are mostly unaffected. Color uniformity is also unaffected, and there are no degradations noticeable across the screen. The Iiyama G-Master GB2560HSU isn’t as feature-rich as other options, but it includes FreeSync along with its fantastic OSD. The FreeSync range sits in between 40Hz to 144Hz which isn’t the most comprehensive but is still sufficient for modern games. It does lack a few add-ons like filters for watching movies or ULMB, but that won’t affect its overall usability. 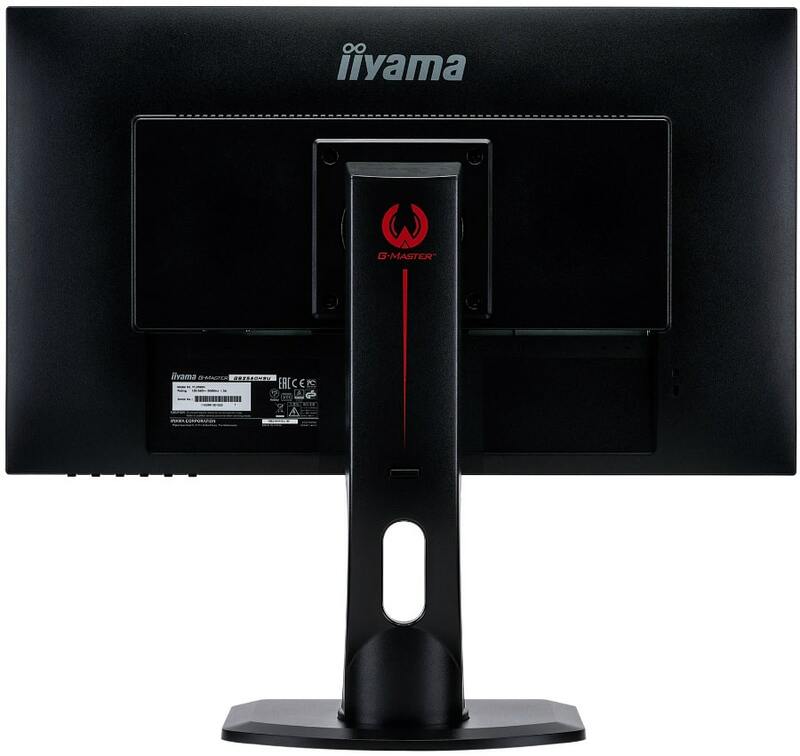 Finally, the Iiyama G-Master GB2560HSU is a fast and responsive monitor which means it should be perfect for your competitive gaming needs. The TN panel was agile enough to avoid ghosting and image retention in fast-paced scenes. Input lag stayed at 9ms which means there are no delays in input to pixel transitions. The Iiyama G-Master GB2560HSU is a decent gaming monitor that won’t disappoint. The monitor isn’t as vibrant as its competitors, but it’s out of the box accuracy that’s usually reserved for professional displays is unmatched. Gaming performance falls within our expectations, but that is always a good thing. The only downsides to the Iiyama G-Master GB2560HSU are its cost and availability in several regions across the globe. You can get a monitor from ViewSonic and AOC without any stock difficulties at a much more reasonable price. However, if you want the best possible color accuracy and a bezel-free design, this device should be at least worthy of consideration.